We're FIREHORSE Creative...a small, progressive design firm in Concord, NH offering an exceptional array of website design and graphic design services to clients of all shapes and sizes - from local Main Street shops, to large global technology giants. As an alternative to a larger agency, we offer the same top-shelf creative and technical skills, but at a fraction of the cost - served up with a level of personal attention you just don't get from larger firms. We're a group of seasoned professionals specializing in the field of website design & development, graphic design and social media marketing. With a combined 40 years of experience, we have the knowledge and drive to help take your marketing efforts to the next level. Get to know us. So take us for a test ride - try us out on your next project and see the value of what we can bring to you. 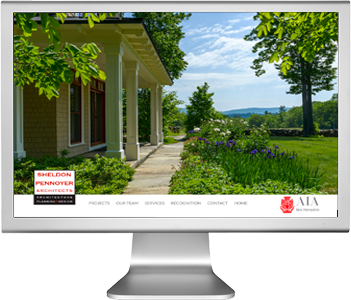 New website for Sheldon Pennoyer Architects in Concord, NH. This new website allows them to showcase their portfolio of work with large photos. 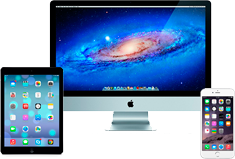 The custom CMS also allows them to manage all of the pages and images on their site. Take a look! "FIREHORSE Creative is an outstanding partner for Laconia and Orlando Harley-Davidson, developing stand-out creative across all channels, delivering superior results for our Social Media campaigns, as well as being an ongoing technical resource for our three websites. Our internal teams are very lean and heavily rely on FIREHORSE Creative to contribute as team members which they do seamlessly. In 2014, we hired FIREHORSE Creative to manage all our Social Media platforms and Social campaigns and have seen tremendous results across both locations with over 50% fan base growth in little over a year. The best part of working with the FIREHORSE Creative team is knowing that you can trust their expertise to represent the brand and the business as if it were their own. I would highly recommend FIREHORSE Creative as a one-stop source for creative development, social media management and website design and execution."